The bombing of Gaza must stop, but so should the pornographication of the victims. When it comes to Israel indiscriminately killing Palestinian civilians in Gaza, there are times when doing nothing is more constructive than doing something. I’ll preface this article by saying that my knowledge of the tension and conflicts that have occurred between Palestine and Israel is insufficient. What interests me is the methods used by people in trying to foment opinions they believe will help bring the current conflict to its end. Often it’s wise to sideline yourself from partaking in any kind of debate relating to something that you a) have a limited understanding of and or b) that isn’t likely to affect you in any demonstrable way. Being in an era of social media saturation, where anybody can comment on any subject, whatever their level of interest or knowledge in it, makes that unlikely, perhaps even impossible. Still, as everyone else is doing it, I shall too, albeit here, in a longer more forgiving format. Nor am I likely to be wise, or what I’m about to say be taken more seriously, in admitting that what’s currently happening in Gaza has little effect on me, or, to be fairer and more accurate, at least not enough for me to do something about it. So I’ll consider the question in the abstract – what can I do? What can I do to allay generations of sectarian resentment and in certain cases a sense of entitlement to land fomented upon the perceived indigenousness and superiority of a race and religion? 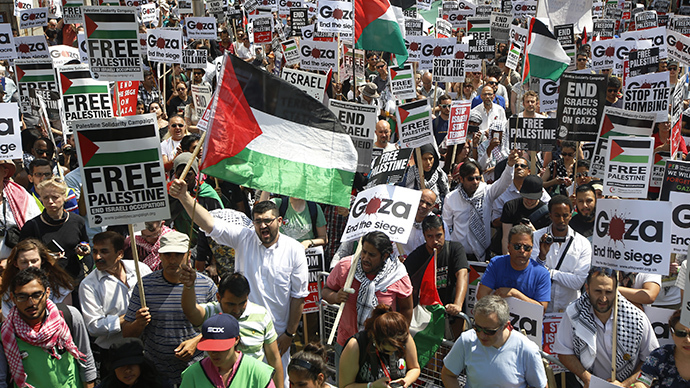 Those who protested over the last two weekends in many cities throughout Western Europe and North America against Israel’s excessive shelling of Gaza got it right, as they didn’t try to do anything about that, as they know they can’t. The protest was visible, because it was physical and therefore its message had meaning: stop the killing, stop the subjugation and annexation of Gaza. The debate about the complexity of the Israeli Palestinian situation, and how it’s reached this point, and all the nuance, depth of understanding, and empathy it will require in to find a lasting solution, could wait for later. Of course it’s a good sign that many people feel that they should be doing something to effect change. It’s a noble motivation, but most aren’t sure how to go about it, myself included. So to satiate the guilt of actually doing nothing, and to alleviate the realisation of complete helplessness in preventing further bloodshed, some feel they have to do something, anything. On Twitter this manifests itself by posting graphic images of badly injured or deceased Palestinian civilians, who are the victims of Israel’s excessive and inaccurate shelling. This pornographication of violence is bad enough, but worse still these pictures are often accompanied with a pious remark, demanding that you think about this, right now. Perhaps it’s just my age, but now I find this approach to be self-serving, gauche, insular and conceited. Where there is arrogance there are usually patronising generalisations that become accusations, in this case about you being unaware or not caring, because you’re more concerned with watching something vacuous, like X-Factor, or whatever its equivalent is these days, or for prioritising something trivial instead, like say, the recent World Cup in Brazil. The irony here is apparent, social media has made it simple, in fact almost impossible not be able to follow several events or news items concurrently. Yet those who use it in an attempt to get people to focus on just one thing at a time are simultaneously betraying social media’s potential, and deriding the intellectual capability of its users. Then there are those who use these images in attempt to advance their agenda on the said subject. I won’t accuse them of being anti-Semitic or anti-Israeli, that’s lazy, unfair and likely inaccurate, but many are myopic, and their views lack nuance. Usually these images are accompanied by the utterly brainless comparisons of Zionism with Nazism and of the shelling of Gaza with gas chambers. Too often I’ve read that the massacre in Gaza was worse than those who perished in the gas chambers at the Nazi concentration and extermination camps in Krakow and Auschwitz. First, why even make such a comparison. In what way is it even relevant? Both are massacres, but the contexts that lead to them are completely different. I’m sure the intent was to emphatically frame the immense disparity of the number that has been killed in Gaza, over a thousand have died during Israel’s idiotic foray to date, against the number of Israeli deaths incurred, so far less than fifty, and to characterise Israel’s actions as analogous of the Nazi’s ability and desire to ghettoise, transport and subsequently kill millions of Jews in World War II. There’s not thinking things through thoroughly, then there’s outright stupidity. Even worse, there’s no need. 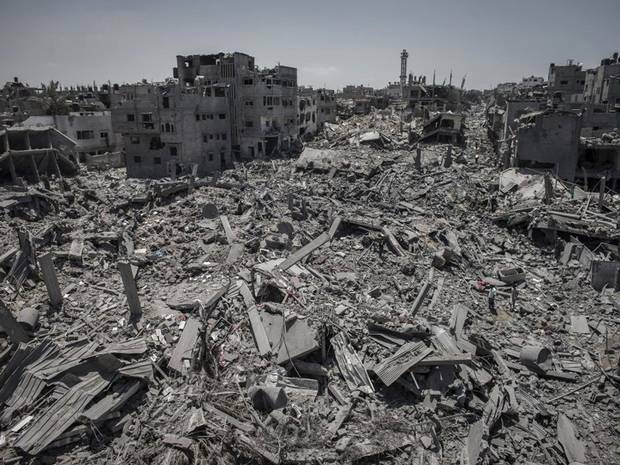 If your sympathies don’t reside with the people of Gaza then you’re a Zionist hardliner like that creep Benjamin Netanyahu, and as such not conversing with. Above all such comments leave themselves open to a myriad of implications and accusations, which sidetrack the issue at hand. That’s how I would characterise my immediate response to these pictures and their comments – sidetracked. It made me see what’s happening in Gaza as comparatively less grotesque an atrocity than the Jews suffered in the concentration camps. It’s a shame that a pointless and irrelevant comparison made me consider the differing levels of depravity of each to rebuff it. One being that some of the Palestinians who appear in these pictures will survive, mutilated and scarred is better than perishing, as all the Jews who were sent the gas chambers did. That pictures and comments combined to create that intellectual dilemma, when both are awful atrocities in their own ways, shows that tweeting these graphic pictures failed in their intention. If anything they demean the plight of the Palestinian people, and the saturation and repetition of them diminishes their effectiveness. Central to all this is the notion that posting graphic pictures can and will change opinion. I get that, it’s easy to be seduced by such a notion when pictures can be tweeted instantaneously and then almost as quickly retweeted by the tens of thousands of people. You believe it grants you the power and control to do something. But it doesn’t consider the multitude of reasons why people use social media, or perhaps they do and they, in the ultimate of delusions, believe they can change that too. Given the choice people aren’t likely to check their timelines on Twitter or log in to Facebook to see graphic pictures of corpses, severed limbs and mutilated children, and on top of that to be admonished for not paying attention and or not thinking about it enough. Most people aren’t narcissistic; they don’t seek the suffering of others, especially when in a world enveloped by media, they are likely to be aware of what’s happening in Gaza. I have no claim on the truth, but I suspect the majority of people on either side would rather Israel and Egypt removed the barricades that border Gaza, and that the violence stop. In all the hysteria I think some are losing perspective. The actions of the Israeli government doesn’t necessarily reflect the zeitgeist among its people. Case in point – many western governments have refused to denounce Israel for the past two weeks, and to describe that as anything but deeply unpopular would be extremely disingenuous. Israelis and Jews being people too, I suspect the majority, even if they, in their delusional belief it will be a solution, want Hamas removed, don’t want to see Gaza destroyed and its people killed as a subsequence. Quite a few of them have protested against it, with holocaust survivors calling for sanctions against Israel. And yet my Twitter feed is bombarded with more people posting examples of small numbers of Israelis cheering and celebrating the shelling than of those who are denouncing it. It’s akin to UKIP’s claim that their policies are representative of mainstream opinion on immigration in the UK, when they clearly aren’t. Selectivity often offers nothing insightful – its only intention is to skew perceptions, to encourage you to adopt a hard-line stance, which tend to be central to the causation of conflicts and their continuation. Attitudes tend to have a genealogy that crosses divisions. It’s both perverse and appropriate that the Israeli government and Hamas share something in common, how little regard they have for the Palestinian people, as do those who post pictures of them in distress on social media and of those who they expect to view them. This entry was posted in Politics and tagged Benjamin Netanyahu, BNP, Gaza, Hamas, Israel, Nazism, Palestine, Pornographication of victims, Protesting, Twitter, UKIP, Zionism. Bookmark the permalink.